ASTM B166 Inconel 625 Hex Bars, ASTM B166 Alloy 625 Round Bars, ASTM B166 Inconel Alloy 625 Threaded Bar, ASME SB166 UNS N06625 Hollow Bars, B166 Inconel® Alloy 625 Flat Bar, ASTM B166 625 Inconel Forged Bar Stockist, ASTM B166 Inconel Alloy 625 Round Bars, ASME SB166 Alloy 625 Bars Manufacturer, ASTM B166 DIN 2.4856 Round Bars, ASTM B166 Inconel 625 Bars Supplier in Mumbai, India. Metal Yard is an ISO certified and well-known venture that manufacture, export, and supply finished quality of Astm B466 Inconel Alloy 625 Round Bars in the domestic as well as global market. We are supported by the technology and qualified sound professionals that aids to achieve a good quality product. we are client-oriented firm that offers the product in varied shapes, size, grade, dimensions, and length in accordance with the needs and requirements of the patrons. In order to fabricate national and international standard product, we utilized the premium quality of raw material that we procure from the trusted dealers of the industry. On the other hand, we have set up the high tech machinery and latest tools in our manufacturing unit to obtain the perfect size and accurate dimensional product. Specialist of B166 Alloy 625 Bright Bar, B166 Inconel 625 Rectangular Bars, B166 Inconel 625 Hexagonal Bar Traders, Exporter in ASTM B166 Inconel 625 Round Bars, B166 Inconel Alloy 625 Black Bar Wholesaler, ASTM B166 625 Inconel Round Bars Stockholder, High Quality ASME SB166 Inconel® Alloy 625 Square Bars Dealer in india. Astm B466 Inconel Alloy 625 Round Bar are chromium-nickel-iron alloy bars combining with molybdenum and columbium content. This chemical composition of alloys offers excellent resistance to a various corrosive environment like pitting, intergranular, stress corrosion cracking and crevice corrosion. These grade of bars exhibits good resistance to aqueous corrosion as well as to oxidation up to 1800 degree F. The bars offer high creep rupture strength and toughness at soaring temperatures. The bars are hot worked and cold worked. Therefore the hot worked of these bars is done at the lower end of the temperature range. Due to its superior ductility, these are readily formed through cold working process. The bars exhibits superior welding and forming features. Our each and every product are examined and checked on various parameters to ensure any defect and flaw. These tests are like hardness test, flaring test, ultrasonic test, flattening test, radiography test and pitting resistance test. Other tests are like a mechanical test, macro/micro test, chemical analysis, PMI test, and IGC test. We attest various important documents along with the product that is given to the buyers. These documents are like quality assurance plan, heat treatment charts, guarantee letter and fumigation certificates. The products are getting well packed in wooden cases, wooden cartons, wooden boxes and in crates that offers safety against damage during transit. 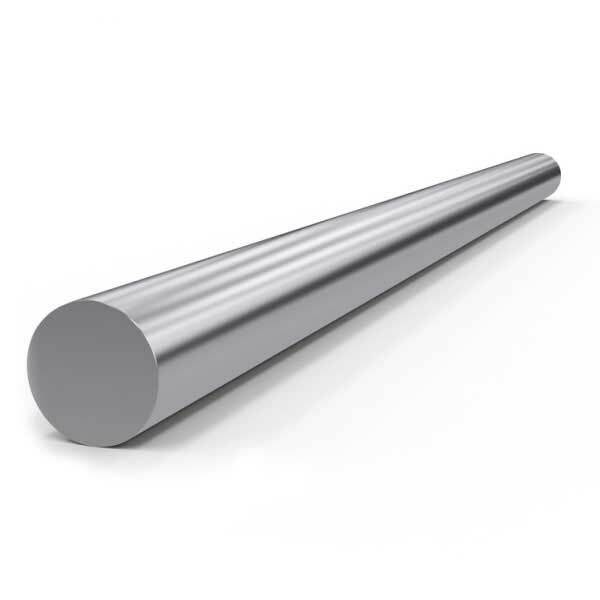 We are Exporter of B166 Alloy 625 Round Bars in Worldwide Such as India, Hyderabad, Jeddah, Ahvaz, Thane, Kolkata, Surat, Indore, Chiyoda, Algiers, Milan, Mumbai, Jamshedpur, Jaipur, Montreal, Bangkok, Muscat, Toronto, Karachi, Courbevoie, Kuala Lumpur, Baroda, Colombo, Rajkot, Gurgaon, Doha, Geoje-si, Granada, Dubai, Abu Dhabi, New York, Chandigarh, Hong Kong, Manama, Bogota, Moscow, Houston, Atyrau, La Victoria, Bhopal, Port-of-Spain, Al Khobar, Nashik, Brisbane, Vadodara, Jakarta, Sharjah, Cairo, Calgary, Ludhiana, Thiruvananthapuram, Nagpur, Vung Tau, Dallas, Petaling Jaya, Al Jubail, Caracas, Kanpur, Haryana, Melbourne, Sydney, Secunderabad, Busan, Chennai, Los Angeles, Singapore, Bengaluru, Istanbul, Visakhapatnam, Seoul, Coimbatore, Ankara, Tehran, Lahore, Ulsan, Edmonton, Ernakulam, Madrid, Perth, Dammam, Gimhae-si, Noida, Pune, Navi Mumbai, New Delhi, Kuwait City, Ahmedabad, Ho Chi Minh City, Hanoi, Aberdeen, London, Santiago, Mexico City, Ranchi, Howrah, Riyadh, Lagos, Pimpri-Chinchwad, Faridabad, Rio de Janeiro. We are Suppliers of ASME SB 166 Inconel 625 Bars / Rods in India Such as Mumbai, Daman and Diu, Srinagar, Bhopal, Vasai, Uttar Pradesh, Lakshadweep, Himachal Pradesh, Gangtok, Dimapur, Puducherry, Shimla, Jodhpur, Raipur, Agartala, Vadodara, Gwalior, Chandigarh, Rajkot, Aurangabad, Gujarat, Kalyan, Rajasthan, Ghaziabad, Allahabad, Karnataka, Vijayawada, Kolkata, Mumbai, Jamshedpur, Varanasi, Kerala, Jammu, Andaman and Nicobar Islands, Howrah, Maharashtra, Jaipur, Faridabad, Nashik, Kavaratti, Guwahati, Dombivali, Bhubaneswar, Aizawl, Port Blair, Sikkim, Kanpur, Shillong, Hyderabad, Madurai, Tripura, Meerut, Haryana, West Bengal, Mizoram, Coimbatore, Kohima, Itanagar, Andhra Pradesh, Vasco, Lucknow, Punjab, Virar, New Delhi, Daman, Manipur, Jharkhand, Indore, Imphal, Jammu and Kashmir, Telangana, Meghalaya, Pimpri, Visakhapatnam, Tamil Nadu, Dadra and Nagar Haveli, Silvassa, Naya Raipur, Kota, Dhanbad, Chinchwad, Navi Mumbai, Bihar, Odisha, Dispur, Assam, Ranchi, Jabalpur, Chennai, Delhi, Patna, Ludhiana, Nagaland, Arunachal Pradesh, Bengaluru, Panaji, Thane, Ahmedabad, Dehradun, Uttarakhand, Pondicherry, Thiruvananthapuram, Agra, Surat, Pune, Bangalore, Goa, Madhya Pradesh, Solapur, Nagpur, Gandhinagar, Amritsar, Chhattisgarh.